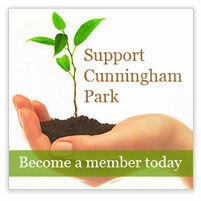 Friends of Cunningham Park, Inc. is a 501C3 organization dedicated to the maintenance of Cunningham Park as the premier park of Northeast Queens. Our goal is to improve, preserve and protect the park and its facilities. With support from our corporate sponsors, donors and the dedication of our members, we have sponsored "clean-up"days and planted flowers and trees. We have donated a "gator" and tractor for parks use, a butterfly garden, chess tables, underground sprinklers and many other amenities.